Barcelona only 3 hours by car, but worth a great 2-day trip to the Catalan capital city. Marriott International offers some great hotels close to all major attractions or try the new Renaissance, close to the Ramblas and the Plaza Catalunya. 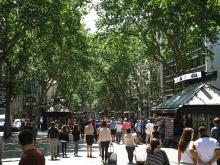 Barcelona offers fun and exitement for everyone: kids and adults, thrill seekers and people in search of peace and quiet. You can walk among sharks, stroke dolphins, take a head-spinning ride on a roller coaster or enjoy the magnificent views of Barcelona and peaceful atmosphere of the parks. Explore the great histort and buildings. Although the best thing is to try and fit them all in. 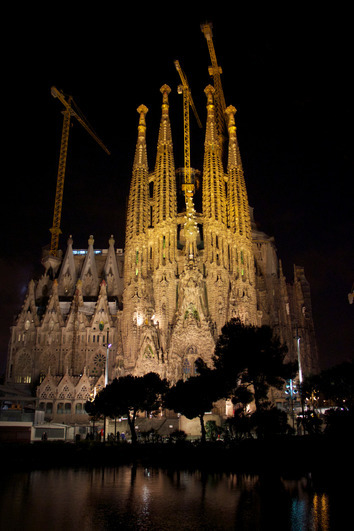 The Shoppings is world-class and endless, the Gaudi House and the famous La Sagrada Familia Church are a most. For the church, book the ticket online before to avoid huge waiting times.